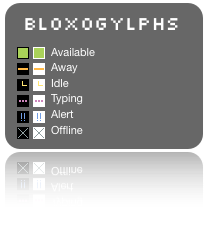 Building on the lack of success of my Bloxes status icons I've designed these ones with both colour and icons. The icons are modeled after those in the Blocks set. It comes in normal and shade which has a black background.